In case you’re a new reader, you may not know that I lived in Japan for about two years, from 2011 to the end of 2013. Living in Japan was undoubtedly one of the most unique and formative experiences of my life. Now, eight months later, I think I’m only just beginning to scratch the surface on how my two-year field trip affected my life and personality. Though living in another country was, at times, difficult, the more time I spend away from Japan, the more I realize how it positively changed who I am. 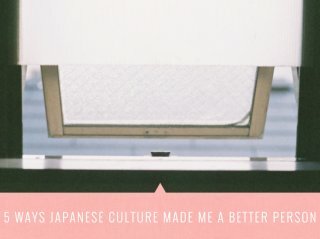 Today, I want to share five ways Japanese culture changed me as a person. Once, while traveling in Japan, I was having a difficult time locating an overnight bus I was scheduled to take. If I’d missed the bus, I would’ve missed work the next day, which is hugely frowned upon in Japan. I used my limited Japanese at the time to ask people how to get to the bus stop, but no one could explain the directions in a way I could understand. Eventually, I found a train conductor who’d just finished work — he had a briefcase in hand and appeared to be on his way home. I rushed up to him in a near-panic, asking if he could point me in the right direction. Instead of pointing, he led…all the way to my bus stop, at least a mile away. He didn’t complain or say a word and brushed off my thank you’s as if he did this all the time. That experience is something I don’t think I’ll ever forget. I pull it out when I need to remind myself to be more generous and willing to go out of my way to help other people. Things that may take ten minutes of my time and a blink of inconvenience could completely turn someone’s day around. Before living in Japan, I was convinced that pouring salt on my veggies and adding broccoli to a bowl of mac and cheese was in some way, still “healthy.” Now, I cringe at much of the “healthy” food I see in The States. In Japan, people traditionally eat a variety of unseasoned vegetables with lightly seasoned fish, white rice, and miso soup. It might sound bland, but it’s actually very good! Now, I’m realizing that adding some vegetables and chicken breast to a bowl of cheese and sauce doesn’t make it better for your body. This isn’t to say I eat as healthy as a traditional Japanese person, but I’m a lot more conscious of what I put in my body — good and bad. Gift-giving is an arguably important part of Japanese culture. 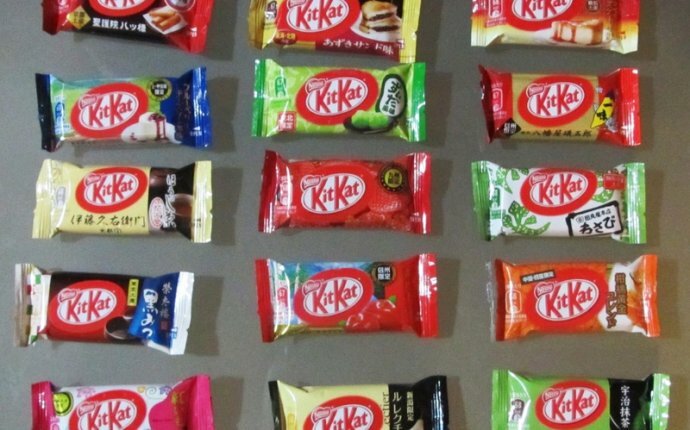 One aspect is called “omiyage, ” which translates to “souvenirs.” For Japanese people, it is expected that if you go on a trip, you bring back a small souvenir (usually a little snack) for each person in your office. People usually bring back gifts for close friends or family, too. The idea relates to Japan’s group mentality, essentially saying, “I was thinking about you, even while I was away.” It’s kind of beautiful, isn’t it? Now, I carry this tradition a little more heavily than before I lived abroad, using small, thoughtful gifts to remind people that they are with me, even when they’re not. I come from a family of late people. I’ve grown up with the expectation that being late is essentially the same thing as being on time. …Which is why it was a slap in the face when I discovered that, in Japan, if you’re not early, you’re already late. After more than two years of putting effort into punctuality, I’ve found the value in being on time or early to events. In Japan, what is “beautiful” often includes pale skin, rail-thin figures, and small facial features with big eyes. In the US, things are nearly opposite, with tan skin, curvaceous bodies, and full facial features reigning supreme. Living in two countries with different values about beauty reminded me how subjective this whole game of appearances is. Once you realize first-hand that beauty is biased, you start caring a whole lot less about fitting into any one person or country’s ideals.